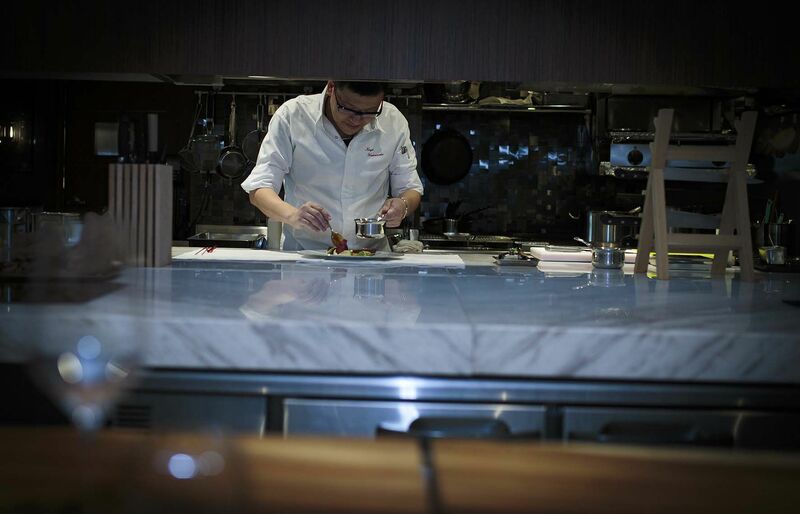 Helmed by executive chef Kenji Yamanaka, Béni is full of surprises, as the degustation menu changes according to the season. You’ll enjoy the Hokkaido scallop, delicately pan-seared so the flavours of the sea come through, and the rich earthiness of the accompanying celeriac and truffle dressing that makes it all the more memorable. Other outstanding dishes include the organic egg that’s slow-cooked for 45 minutes, then drizzled with red wine sauce and a sprinkling of bacon.